A residence doesn’t become a home until the owner gives it charm and personality. However, there are seemingly endless home improvement options a homeowner could make. How can you be sure that an upgrade is the best use of your resources? After all, some improvement choices can cost as much as a new home! Below are five upgrades that have the best return on investment. Best of all, most of them are possible for you to do yourself. All homes come with insulation installed. However, not all builders provide adequate coverage. When it comes to insulating new homes, most companies will only install the bare minimum. As a result, the house becomes energy inefficient before too long. One of the most necessary areas for new insulation is the attic space. Heat rises through the house and escapes through the roof without enough padding. All you need is a few stacks of fiberglass insulation. Most hardware retailers carry it, and most are relatively inexpensive. Just make sure you know which grade of insulation you need. Specific insulations are meant to be used in particular areas. To learn more about which type of insulation would work best, head on over to House Logic’s overview of each type and where it works best. The standard entry doors for a typical home is a wood exterior door. These doors are made entirely of wood, or the cores are solid wood. While they are sturdy, wooden doors are more prone to breaking down. 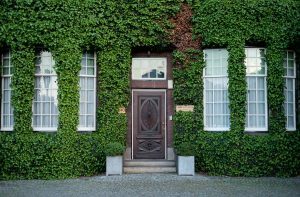 Steel doors, however, have many benefits to consider. They are often inexpensive, maybe even more so than a standard wooden one. Steel doors are also filled with insulation, further preventing energy loss. And unlike wooden doors, they won’t splinter over time, nor will they grow mildew and expand with humidity. Most steel doors are relatively hands-off, aside from general maintenance you would expect. They’re stronger, safer, and provide better heat and noise control. 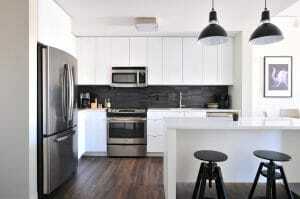 A kitchen remodel is a cost-effective way to upgrade your home. However, it can quickly become expensive if you’re not careful. 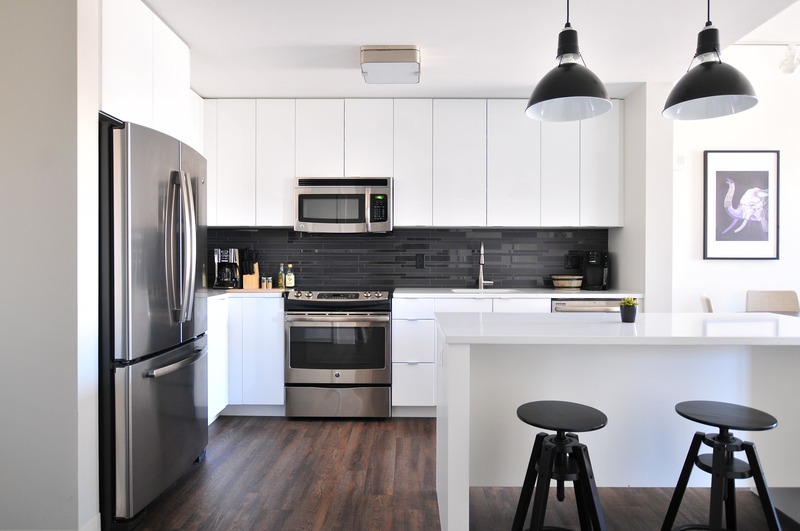 Depending on the age of your home, as well as your budget, a kitchen remodel can cost just a few hundred to several thousand dollars. As a result, more than one homeowner has seen their inexpensive upgrade spin out of control. Before starting any upgrades, consider the individual item costs and what benefits they bring. For example, do you need to install new lighting fixtures, or will it only change the appearance of the room? Other ways to save would be to sand your current cabinets and repaint them versus paying to have new ones installed. Painting and tile installations are also more affordable options to consider. When it comes to buying new appliances, ensure that they are compatible with your home before purchasing them. Residences filed as “historic” may give you trouble when trying to hook up more modern fittings. Before buying new appliances, ask about the store’s installation services. While it may seem reasonable to save the extra few bucks on installations, the store is more likely to get it done correctly on the first try. Finally, keep in mind things that you can’t see. For instance, kitchen plumbing is often where many homeowners wind up spending more money than budgeted. Checking plumbing before any upgrades is a wise decision. Try seeing if Homes for Heroes has a plumber Specialist in your area. 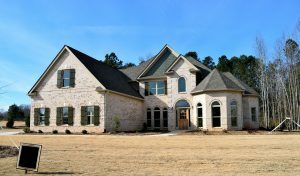 Many upgraded homes feature stunning stone veneers along their home’s exterior. The natural stone provides an excellent contrast to painted stucco. Natural stone installations also offer increased home insulation. Similar to brick, the stones create a layer that traps heat. Natural stone veneers tend to be expensive to have installed. For that reason, its manufactured counterpart is a popular choice. Manufactured, or faux, stone veneers give a home all the cosmetic benefits of the real thing, but at a lower cost. Modern decorative stones look nearly identical to natural ones! Another advantage of installing faux stones is they are easier to install. Because they are lighter weight than natural stone, they require less framing and support. Garage doors are among the most overlooked upgrades for homeowners. However, replacing your garage door is one of the smartest investments that you could make. 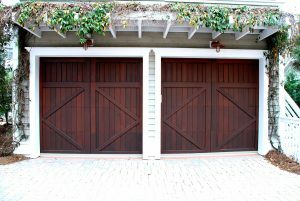 While garage doors are built to withstand many long years of service, not all brands are reliable. Garage doors purchased from hardware stores are usually prone to problems. Professional garage door installation, on the other hand, is often a service call that yields the best returns. Even if your home’s garage door is still in working condition, you may want to consider replacing it. Newer garage doors offer superior safety over older models. Not only are they more durable from outside force, but they have a secondary safety beam. If you have animals or small kids in the home, a newer model would be a safer way to protect them. Newer models are also more difficult for criminals to “hack” into through the keypad. If you have an older garage door, then you’ve noticed that the chain and motor models make a ton of racket. As a result, your older doors are keeping you up at night. Newer models are quieter and use a different system to raise and lower the door. That ensures a softer functioning and more sleep for you. For garage service, as well as other trades, discounts are usually available. With these and many other improvements, you can bring more value to your home and make it a more enjoyable place for you to be as well. We sure hope these tips helped, if you tried one or have your own tip- feel free to tell us about it in the comments!